Aloe is thought to be one of the oldest remedies, noted for its healing qualities in Egyptian, Roman, Chinese, Greek, Italian, Algerian, Moroccan, Arabian, Indian and Christian history. Cleopatra is known to have massaged it into her skin and it appears in Anglo Saxon medical texts, having been brought to Europe in the 10th century. 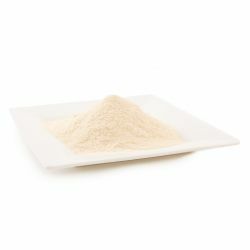 The natural organic aloe gel is freeze-dried to form a powder. We reconstitute this powder to a gel of its original strength with water.